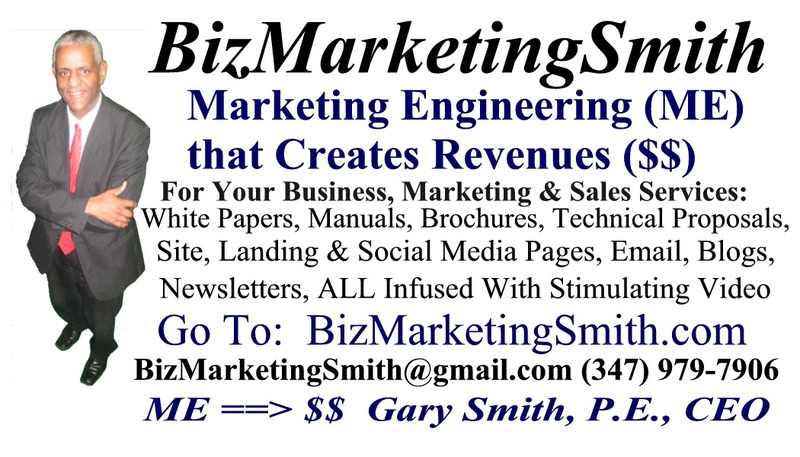 BizMarketingSmith.com, is presented as a sample marketing and sales website. 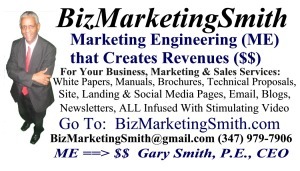 All 11 BizMarketingSmith webpages contain marketing and sales strategies. 4) Calls To Action 5) Actual Picture Graphics. The above are the 5 most effective marketing elements and comprise the heart of a successful business card networking distribution and/or direct response marketing campaign. Assumption: Student possesses basic multiplication skills including understanding of exponentials and also is familiar with the terms “radius of a circle” and “area”. Circles are perfectly round shapes that particularly are very useful to create things such as wheels (for Tires), Compact Discs (CD’s), DVD’s and countless other items and activities that make our daily lives easier and/or more enjoyable. An important calculation for creating and building so many things is the area that is within circles. 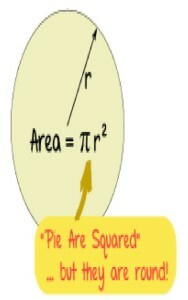 The area within a circle is calculated using the universal constant called “Pi”, pronounced as “pie“, symbolized as, π.
π is an infinite number that is generally shortened and used as 3.14159 for most scientific uses. π is also further approximated to 3.14 for most basic math uses. From your previous lessons please recall that a radius of a circle is half of the circle’s diameter. 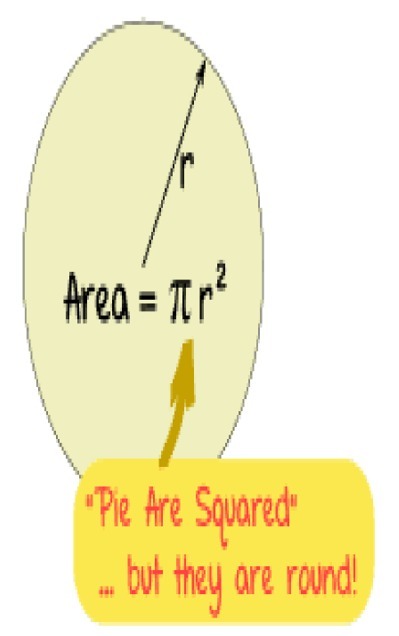 I believe the above simplistic illustration and phrase that “Pie Are Squared” is great, because it is easy to remember the image of a normally circular shaped Food Pie having a squared radius aspect to it in calculating the area within a circle. “News Jacking” is the use of a recent and/or amusing news event to create marketing videos that can generate significant target traffic to websites and landing pages through use of Video Keyword Phrases into Titles and Taglines that drive high search engine rankings. An approximate 25’ by 100’ lot that contains a 3 story with partial basement building that visibly appears to be structurally sound (no apparent major foundation wall, main beam or support column defects). The structure is in excess of 75 years old and has been vacant for a number of years; as such the interior space is dilapidated. The existing building foot print is relatively small (17’ by 40’) and in combination with the dilapidated interior it has been assessed that the best use of this property is to demolish the structure and erect a new building in accordance to present day design and construction standards with modern amenities. The property owner is in the preliminary analysis stage of moving forward to utilize the subject property in the best and most productive manner. As the current first options the property owner has expressed his desire in developing this property as a new multi-unit residential or mixed use structure in which the property owner would retain at least one of the units for his personal use. A general initial preliminary lot and zoning analyses shows that it may be permissible to build a 8 to 10 unit building, possibly more. First Preferred Option 1: Construction of the maximum allowable number of suitably sized (1,000 to 1,300 sq. feet) condominium units, possibly with mixed use commercial space. Development acquisition, holding and construction cost financing is sought for which the lender(s) and contractor(s) are joint venture partners and receive completed condo units as repayment with interest of the lender’s and contractor’s investment in covering the project development costs and profit. Second Preferred Option 2: Construction of the maximum allowable number of suitably sized apartment rental units, possibly with mixed use commercial space. The property owner will consider designating some of the rental units for low to middle income tenants in exchange for financing assistance. The property owner will also consider forming a partnership in which the lender receives the acquisition, holding and construction cost upfront financing after retail sale or refinance of the new apartment complex. Least Preferred Option 3: Retail sale of the property, in as-is condition, to a Developer. Both lump sum and seller financing will be considered for this retail sale option. The property owner has received verbal offers in the range of $700,000. The property lot is adjacent to a residential project development it is desired to take advantage of the potential significant time, cost savings and efficiencies by forming a joint venture partnership with Abyssinian Economic Development Corporation and the Ennis Francis development contractor. Gary P. Smith, P.E. – Entrepreneur/Project Development Director. Mr. Smith is a New York State licensed Professional Mechanical Engineer with over 22 years of engineering, construction, operations, project and program management experience. Mr. Smith has directly managed thousands of personnel along with numerous engineering and construction projects with contract budgets in excess of $500 million; in addition to serving as a Director of Planning and Control for multi-billion dollar capital improvement programs. Mr. Smith is Chief Executive Officer of two New York based real estate investment and management companies that buy, sell and rent residential property. Mr. Smith specializes in creative financing and mortgage note trades. Mr. Smith has expanded his business operations to now include business marketing and is a licensed Insurance Agent. Lesly J. Pierre – Entrepreneur/Project Development Manager. For over 30 years Mr. Pierre has continuously invested in, managed and developed numerous real estate properties. Mr. Pierre’s most recent development project comprised of complete demolition of a single family residence and erection of a new two family building and garage in Bayside, Queens, New York; for which in addition to being the Principal Mr. Pierre served as the Project Director. Mr. Pierre also currently oversees the rental property management as well. In addition Mr. Pierre is a licensed Insurance Agent and overall a very successful business entrepreneur having owned and operated a Allstate Insurance office in Bayside, Queens continuously for over the past 25 years to date.